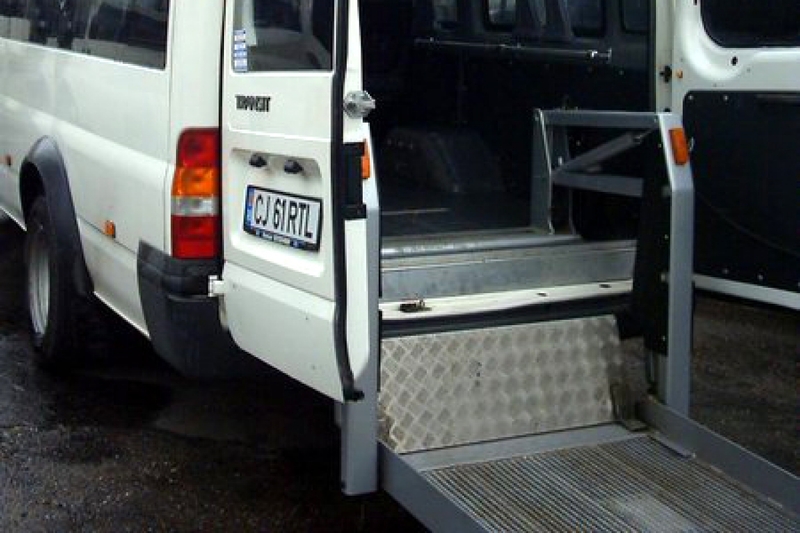 Public Transport Company SA Cluj-Napoca has in its disposal two specially adapted minibuses for the transport of severely disabled persons and of the persons accompanying them. 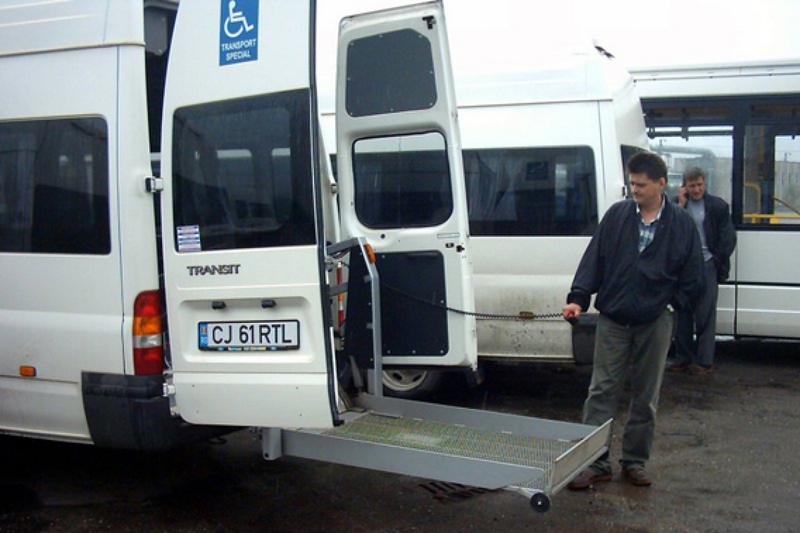 The minibuses are equipped with an electrically operating ramp and with the help of which people in wheelchairs can board in and be taken out of the vehicle. 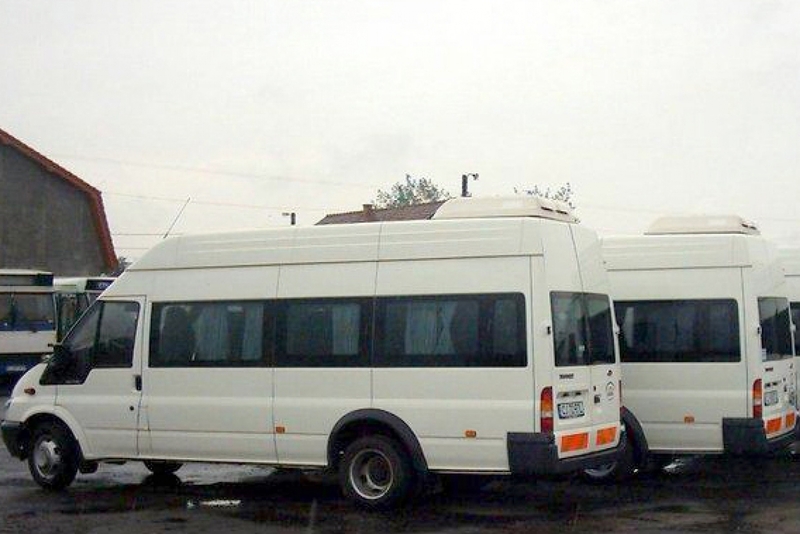 The transport timetables and the routes are established at the beginning of the school year by the Directorate of Social and Medical Assistance in collaboration with CTP Cluj-Napoca SA, on the basis of the requests made by associations, foundations and NGO's with activity in the field of protecting the rights of disabled persons.